This popular Christmas song filled with mentions of snow and sleighs seems an unlikely choice for an Australian picture book, but illustrator Matt Shanks has given it a very Australian makeover. The words are unchanged, but the sleigh bells belong to an icecream van, and the sleigh is a trailer towed behind it. The ice and snow come from an esky. The pages are also populated with a cast of Australian animals – koalas, wombats, numbats, galahs, echidnas and more are picked up in the icecream van sleigh and end up at the beach where the van’s driver is revealed as a penguin. Youngsters will love seeing the song interpreted in a beach and outback setting, and there is a bonus CD featuring the song performed by Hum,an Nature and Jessica Mauboy, so they will be able to sing along. Penelope looked down the mountain, but Percy was nowhere to be seen. Penelope the pygmy possum wakes from her winter hibernation, looking forward to the return of her mate, Percy, who has spent the winter with the other males away from the cold of the mountains. But there is a problem. Over the winter roadworkers have built a new road, and now it is blocking the path of the male possums. Luckily, Rick the Ranger has a solution, and soon the males are using a new tunnel under the road to get home. Penelope and Percy are reunited. Penelope the Mountain Pygmy Possum is a cute picture story book which fictionalises the real events surrounding the building of a ‘tunnel of love’ for male pygmy possums to safely leave and return from the Snowy Mountains during the colder months, while the female possums remain on the mountains and hibernate. The story gives young readers the chance to learn about the pygmy possum and the threats to its existence. Illustrations show realistic landscapes, roadworks and wildlife, though the possums are partly anthropomorphised for narrative purposes. The animals floated on the waves. They were having a wonderful time. Echidna Jim went for a swim. It’s a very hot day, but the animals don’t mind. Dingo has fixed the old blue bus that used to sit in the creek – and he’s taking everyone to the beach for a swim. At the beach everyone blows up their inflatable toys and swim rings, and has a lot of fun – until Echidna Jim joins in. His spikes wreak havoc, popping the inflatables – which could be a disaster, but instead, adds to the fun as the animals whoosh around. 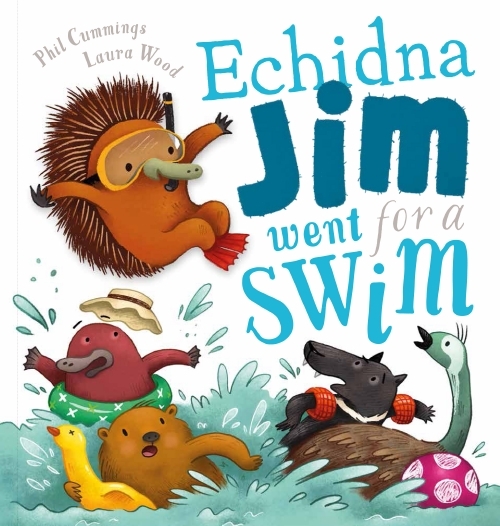 Echidna Jim Went for a Swim is a humorous picture book story featuring lots of favourite Australian animals, including the echidna, the wombat, a platypus, an emu, a kangaroo and more, as well as all the fun of a bus ride and a trip to the beach. With lots of golden sand and watery aquas and blues, as well as the colourful inflatables and the browns and greys of the animals themselves, the illustrations fill the pages with movement and fun. George the Bilby loves to cook, so when his friend Betty Echidna’s birthday arrives, George wants to make her something special: Raspberry Muffins. But he needs some help from his friends to find the raspberries, pick them and get them home. Finally he can bake the muffins ready for the party. George the Bilby Chef and the Raspberry Muffin Surprise is the first in a new series from author-illustrator Jedda Robaard. With a cast of Aussie animals rendered in sweet pastel tones, and a collectible recipe card for the muffins which George bakes in the book, as well as gentle message about cooperation and sharing, this hard cover offering will be loved kids and parents. Hop up, wiggle over, wakey wakey, HUNGRY! Crunch crunch, gobble gobble, lick lick, MORE! So begins this beautiful little movement and sound filled offering for early childhood audiences. 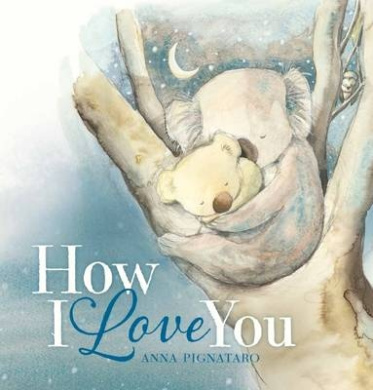 This unconventional animal family – Mum is a koala, Dad a big red kangaroo, and the nine children include a wombat, an echidna, a bilby and more – move through the day joyfully, from wake up till bedtime. The text is minimal – just four words or phrases per spread, being the sounds the animals mutter (sploosh! boing…boing) or the occasional word such as yum yum! and a joyful Dad-dee! when Dad arrives at the park where the children are playing. Illustrations, in watercolour with pencil outlines are pastel-toned colours of the Australian bush, with white backgrounds and lots of fun detail for youngsters to discover. Movement is depicted with a few well placed lines, and the joy of the family is evident in their faces. A joyful celebration of families and of Aussie animals. And the bizzy buzzy bush bugs won’t go away! 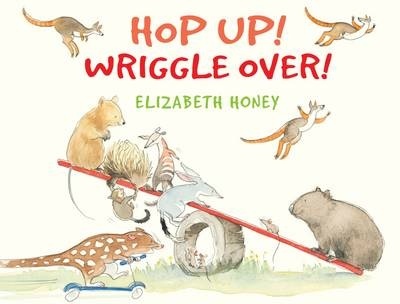 This humorous picture book is filled with favourite Aussie animals – bilby, echidna, wombat, dingo and more – all afflicted by annoying bush bugs, from flies and mozzies to cicadas and even a bogong moth. The best solution is to tumble down the gully and jump in the creek. The repetitive text encourages children to join in, and can be either read or sung, with an accompanying CD coming in handy for the latter. The illustrations are in gentle bush pastel tones with lovable animals and insects, with zany touches such as the slightly cross-eyed look of Barry Bilby. 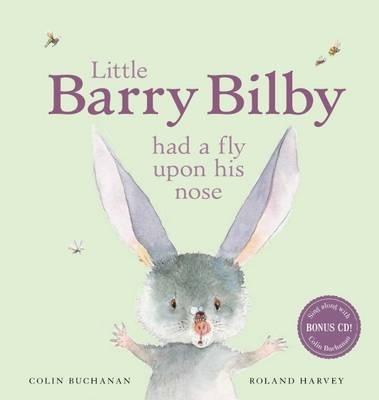 Suitable for children from birth through to primary school age, Little Barry Bilby Had a Fly Upon His Nose is lots of fun. Far in the bush, Little Koala and Mummy were playing. Little Koala shows his mother how he loves her. Other baby Australian animals follow suit, expressing their love for their mother in their own special ways. First the day animals, then the night animals declare and show their love. Finally, it’s bedtime for Little Koala and his Mummy shows just how much she loves her baby. Illustrations are soft watercolour with pencil outlines. Habitats are indicated in vignettes, but mostly the images are of the animals themselves. Paper stock is a rich cream, endpapers are a lovely night-blue. This is a lovely gentle book to be shared with small children, while they are curled in the reader’s lap. Each animal shares a little of its habitat and behaviour before snuggling with mother. In the final pages, it’s made clear that no matter how much the young love their mother, their mother loves them more. An introduction to Australian animals for the very young. Recommended for pre-school children.